Let’s start with the Clarins. Firstly, can we just take a moment to appreciate it’s beauty?! 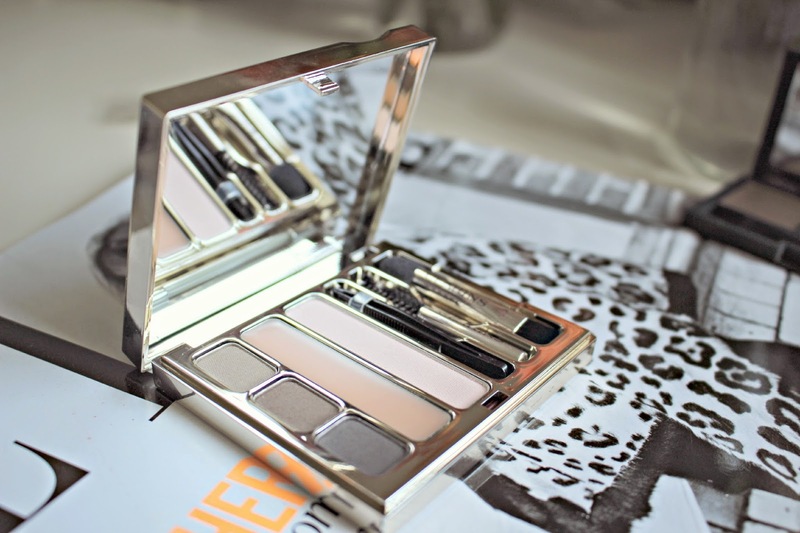 Since when did a brow palette need to look so darn beautiful – but we all know that Clarins don’t do things by halves and that having a gorgeously sleek palette poking out of your makeup bag is enough to bring a smile to any girl’s face. The kit contains everything a girl could need to achieve brow perfection whether at home or while on the run – the skinny compact has a magnifying mirror in the lid, includes 3 different shades for filling out brows, as well as holding wax and a light pink shade which can be used to highlight under the brow. Also contained in the palette are these adorable mini tools. There’s the double applicator which can be used for the wax and powers, a brush for shaping and also a mini pair of tweezers to tidy up any strays. Whether you are a brow beginner, or a pro with your arches, this kit is THE ONE – if you can afford to splash out a bit then I would definitely recommend it. Of course spending £33.00 on your brows may seem a little loony to some, and I don’t blame you – especially when the budget alternative is THIS good! Eylure launched their brow range in spectacular fashion – at the Shangri La in The Shard (check out my instagram here for pics of the event! ), now offering a whole host of products, from pencils, to wax, to DIY dye kits. The products are available in multiple shades – I picked up the blonde kit which contains a lighter coloured wax, a shadow for filling in and also a highlighter. So essentially the same products as the Clarins but only in the one shade in the palette. Also in the Eylure range are 2 types of pencil – one traditional and one roll-up (there’s probably a technical term!) and also a setting wax. If you don’t want your brows to budge then I would definitely recommend the wax – once it is applied, your brows won’t budge! The pencils are also the exact same shade to the brow palette, so if you want to pop one in your handbag then no one will be able to tell the difference. With just the one shade, nothing goes to waste in this palette – my only negative would be that the brush isn’t quite sharp enough for my liking, so I use a different brush when applying the coloured powder. The creamy pink highlighting powder is completely matte – giving you a natural looking high-brow without any glitzy sparkle which can just make you look shiny! Like the Clarins palette there is a handy mirror in the lid and the compact is light and slim enough to be carried in your handbag. In terms of comparison, I’d say if you want your brows to be bolder and more dramatic – I’d go for the Eylure kit. The powders and wax within the Clarins offer less pigmentation which lead to a more natural looking brow – so it’s up to personal choice. 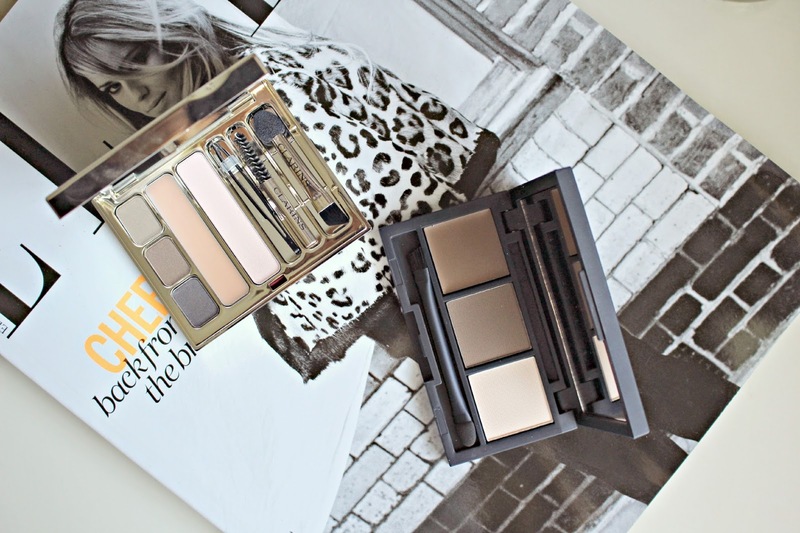 If you are confident for your brow shade, then again the Eylure is certainly better value for money, but then nothing goes to waste with the Clarins palette as the darker shades come in handy for eyeshadow and liner! 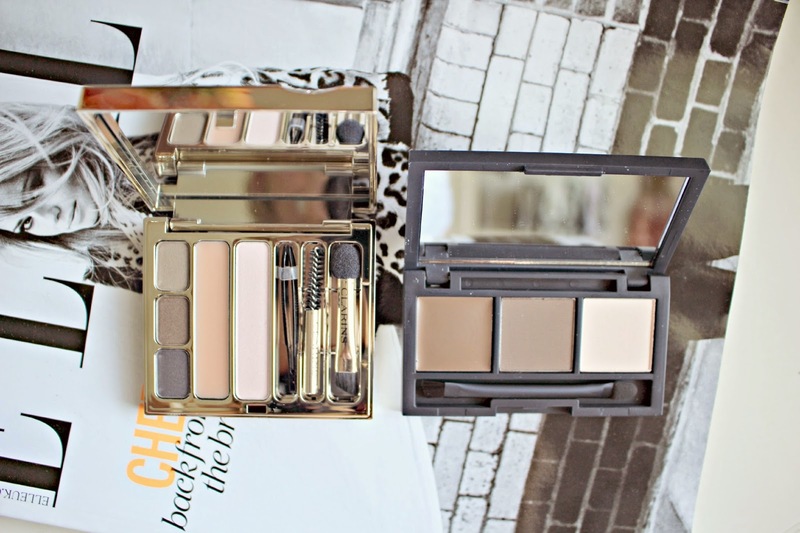 Overall two fantastic brow products – if money was no object then I’d pick the Clarins – call me shallow but the beauty of the palette itself makes it irresistible to me! But the Eylure is a fantastic budget option and one that delivers fantastic results. Eylure is available from a variety of retailers. 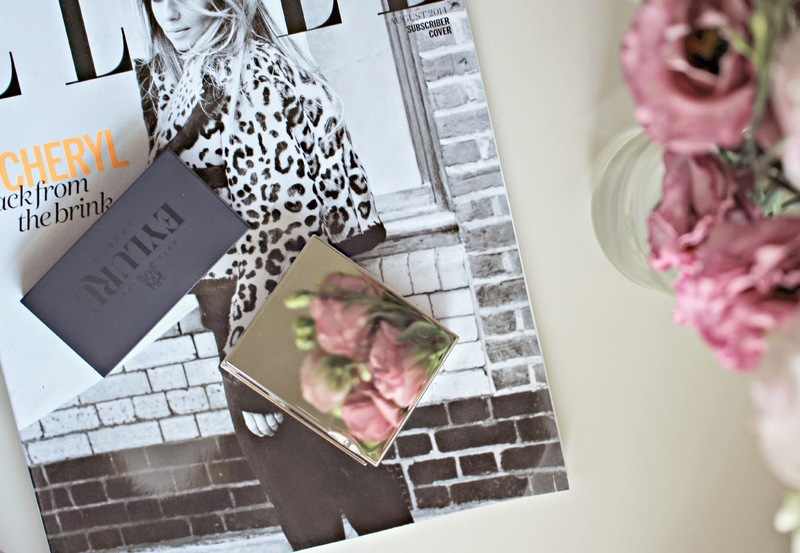 Online you can get it from River Island here. The Clarins is also available from most department stores and bigger Boots stores, as well as online here. 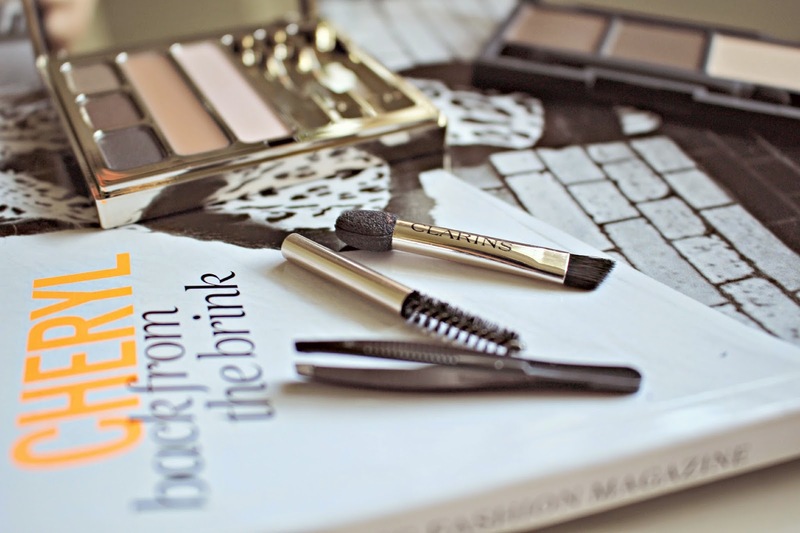 Do you use brow palettes? Which is your fave?